Still, there are people who don’t read e-books, and many industry professionals say it’s best to offer some kind of print version to maximize your chances of being read. Also, I’ve noticed many indie book awards require you to have your book in print. So you want to print your book, and you don’t want to use Amazon. What are your other options? Well, it’s possible to do offset (traditional) printing, even if you’re an indie author. Let’s look at the differences between POD and offset. 1. Who are you selling to? If bookstores and libraries, then you want to do offset. If directly to readers, POD might be fine so long as you’re relatively sure the books will print at good enough quality. 2. How many books can you realistically sell? Offset only makes sense if you print 250+ copies. Do you have space to keep those somewhere? Do you think you can sell that many at events, etc.? You also need to be prepared to fulfill orders from home. Can you do both? Sure. You can have POD and a print run. Why do bookstores balk at stocking POD titles? Because bookstores are used to receiving a discount (of about 55%) from distributors. They can’t get that discount with POD. Also, bookstores can return unsold books to distributors, but not POD books. And, again, many POD titles come from Amazon, which bookstores see as a competitor. A viable alternative is IngramSpark, which does have a POD option but also lets you set a discount for bookstores. And Ingram is a known distributor that bookstores and libraries are comfortable working with. You’ll still need to market your titles to bookstores and libraries, but you’ll be able to say, “It’s available from Ingram” and they’ll know what that means. Be sure, when doing a print version, that you have a good formatter and designer. The skills to create a good print book are somewhat different from those needed for an e-book. Many book designers can do both, but do your homework and find a good one. Clear as mud? Great! 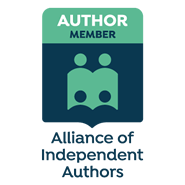 Indie authors have to make a lot of decisions, and how (or whether) to print the book is just one of a long list. I hope this post helps you choose the best way to bring your book into the world.